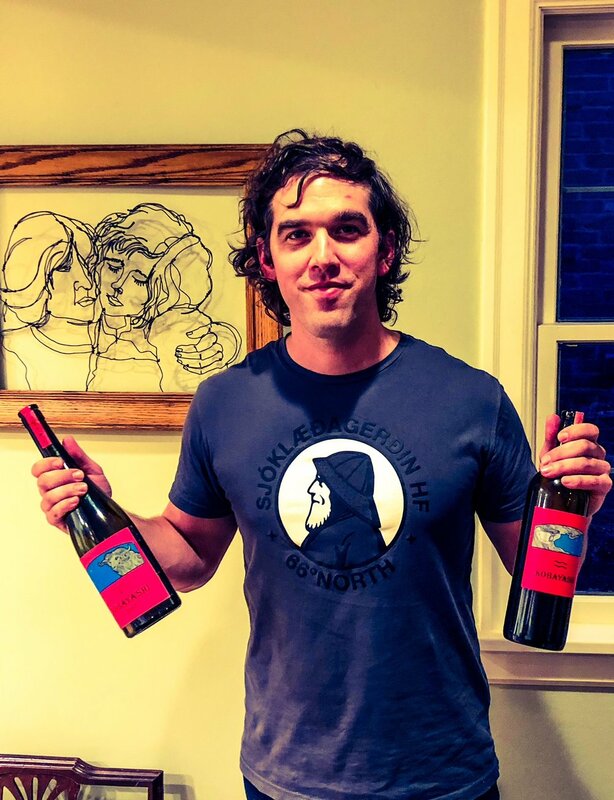 Travis Allen is the founder/winemaker of the outstanding, micro-production winery, Kobayashi. Travis Allen is one busy man. Balancing jobs as a nurse anesthetist, SIDS researcher and winemaker/father can be difficult. A few years back Travis got the urge to start Kobayashi. He had been working several harvests for Eight Bells winery and realized that some of the Cabernet Franc fruit was not being used from the esteemed ‘David’s Block’ at the Red Willow Vineyard. For a little background, the Red Willow Vineyard, first planted in 1973, is located at the far western edge of the Yakima Valley. Managed by Mike Sauer, much of the plantings were connected to that expressed by the late famed winemaker for Columbia Winery, winemaker David Lake MW. David’s Block is named after David Lake, MW, and has all five Bordeaux varietals planted there. Having tried the Columbia Winery wines back to the late 1990s, these are wines that show finesse and a wonderful purity of fruit. Travis is able to craft his gorgeous Cabernet Franc in a classic style that is extremely labor intensive — he literally has his entire family helping out with the winemaking process. His new release 2015 Kobayashi Cabernet Franc (WWB, 94) is a downright stunner that is up there with the best Washington Cabernet Franc bottlings. There are only 25 cases of this sumptuous, silky wine made, so try to get your hands on a bottle. Learn more about these exciting wines at http://kobayashiwines.com Here are the outstanding new wines by Kobayashi.